Are Young Adults Tuning Out from TV? It looks like TV may no longer be the best way to channel young adults. According to a new study from MoffettNathanson Research, TV networks saw a 14% decline in live viewership among 18–34 year-olds from June 2014 to July 2015. And there was a 16% decrease among teens ages 12 to 17. While this only makes up a fraction of the multi-million-viewer TV audience, it’s a sign that young adults are also watching other media. Yet the study also showed that certain TV networks saw their viewership increase, so it’s important to know which networks are in tune with younger viewers. MediaPost.com aired more of the study results to show how TV is rating with viewers today. 14% decline in 18 to 34 year-olds. 10% reduction in kids ages 2 to 11. 7% fall in the 35-to-49 age group. 2% dip in adults age 50 and older. 17% fall for A&E Networks. 11% drop for Fox broadcast and cable networks. Stable viewership for Scripps Network Interactive. 6% collective increase for independent TV networks. A number of younger viewers may be turning away from TV, but there’s still a large audience of all ages of viewers. 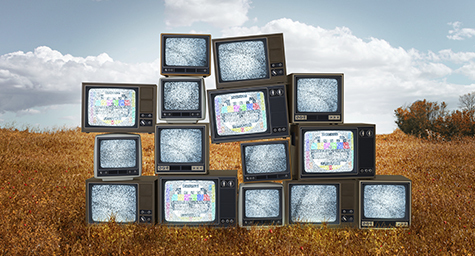 While it’s important for marketers to stay aware of media trends, TV still remains very relevant. Watch for what’s new in media. Contact MDG Advertising today at 561-338-7797 or visit mdgadvertising.com.